Cologne – At K 2016, LANXESS’s Rhein Chemie Additives (ADD) business unit is showcasing its organic Macrolex Gran colorants for the brilliant coloring of amorphous and semicrystalline plastics. Thanks to their microgranule form, the colorants compare extremely favorably with powders and compact granules owing to their excellent dispersion and processing properties and safe handling. Macrolex microgranules consist of hollow spheres that can be very easily crushed, which means they can be quickly, evenly and completely distributed and incorporated into the plastic. The excellent processability of the product is due to the fact that the hollow spheres comprise particularly small primary particles of between around two and ten micrometers depending on the color. The good free-flowing properties of the 0.3-millimeter spheres make precise metering easier and prevent clumping in the mixing process. The four times higher bulk density compared with powder pays dividends in processing, transport and storage alike. In addition, the granules make an important contribution to occupational safety and environmental protection. Containers can be completely emptied, for example. Dust development in the processing of Macrolex Gran is much less than with powders. This means there is a considerably reduced risk of dust explosion, and expenses for protective measures and facility cleaning can be considerably reduced. The design of Macrolex Gran is such that on the one hand its hollow spheres are big enough to hardly form dust and on the other the much smaller particle size compared to powder enables rapid and complete solution dissolving in the plastic. “We achieve a high microgranule quality with Macrolex Gran through a special production process that applies an enormous spray dryer that stretches across three stories,” says Ralf Scholtz, head of the Colorant Additives business line in LANXESS’s ADD business unit. “The expenditure involved is well worth it because it enables us to supply our customers with a high-tech product for brilliantly coloring plastics that offers both top quality and high cost-efficiency,” adds Scholtz. Owing to its good metering and dispersion properties Macrolex Gran is primarily used for processing in the extruder and on the injection molding machine. The colorants are soluble in organic solvents and are highly suitable for coloring amorphous and semicrystalline plastics such as PS, PET, PC, ABS and PMMA. In the final article Macrolex Gran impresses through its high color intensity and brilliance and good thermal stability, weather resistance and lightfastness. Important fields of application for Macrolex Gran include the coloration of food packaging such as PET bottles and the coloration of children’s toys, since the colorants also meet the stringent purity requirements of these applications. 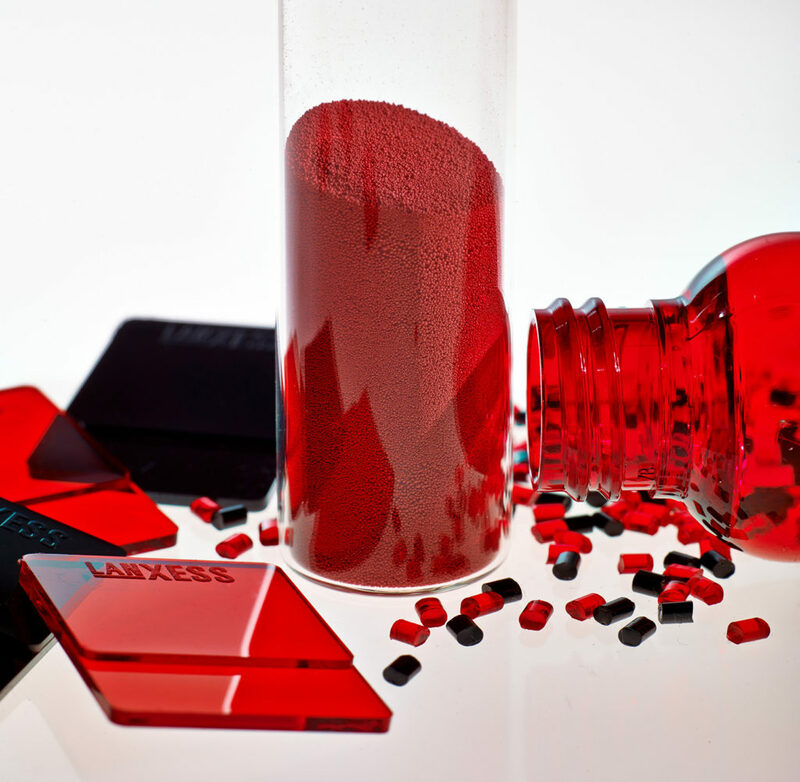 “Macrolex Gran stands for an innovative color technology from LANXESS that combines brilliance in the coloring of plastics with high ecological standards,” adds Scholtz.